100% Financing. $0 Down. Low Rates. The United States Department of Agriculture has been offering mortgage loans since 1949. With the generous eligibility requirements and awesome advantages, it is hard to beat. Here at HomeRate Mortgage, we want you to have the best home purchasing experience possible. Below you will find information on the advantages of choosing a USDA loan and eligibility requirements for the program. 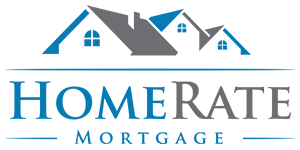 HomeRate Mortgage is here to help you decide which loan program is the best for you and your family and do it with our HomeRate Mortgage guarantee: Quick quotes. Low rates. Fast closing times. Home ownership is not a dream meant only for some, it should be a joy that can be experienced by all. With that concept in mind, the U.S. government, through the Department of Agriculture, runs this little-known mortgage program, the USDA mortgage, which helps people establish homes in rural areas. The good news is that it is not restricted to farmers only, pretty much anybody who meets the requirements can access it. Simply put, a USDA home loan is a mortgage for people who want to own property in rural areas. Its full name is the USDA Rural Development Guaranteed Housing Loan, and it is offered, and run by the United States Department of Agriculture. The program was created by section 502(h) of the Housing Act of 1949, and that is why it is at times referred to as the “Section 502” loan. The idea is by making it easier, and more attractive, for people to live in less populated areas it will stimulate the economy in the surrounding area. A win-win situation for all. Because this is something the government, and whole economy, can benefit from, you, as a borrower, are offered a lot of incentives when applying for a USDA mortgage. The loan requires no down payments and attracts very low-interest rates –way below market rates. This mortgage offers 100% financing and comes with reduced mortgage insurance premiums, two more perks automatically included. If you can picture your dream home surrounded more by land than by lots of neighbors, a USDA loan may be the first step in turning that dream into a reality. Although this type of mortgage is not as well known or popular as some other ones, it is arguably the most accessible and readily available loan on the market. Since this loan is backed by the government, meaning lenders are protected against lost, they are approved much easier than many other types of loans. These are mortgages intended only to help very low and low income families buy a home. To qualify, the median income of your household must fall below 50% of the area median income (AMI) or between 50-80% of the AMI. This would allow the borrower to be considered for a very low income or low income residence respectively. If applicable, borrows can enjoy interest rates as low as 1%. Income limits vary between different locations, so it is important to work with a mortgage lender that in familiar with your location. Guaranteed loans are the much more popular option, in which most borrower’s income limits fall under. These 30 year, fixed rate mortgages offer 100% financing for home purchases meaning it is possible to close on a home without putting any down payment. This type of loan is available for anyone whose income level falls between 80% and 115% of the median household income for the general area. These loans, and grants, are targeted towards homeowners who want to repair or make improvements to their residence. Compared to other lenders who may only be able to get you less, here at HomeRate Mortgage we are able to get a potential borrower approved for a maximum combined loan and grant of up to $27,500. We’re all about quick quotes, low rates, and fast closings. The main feature that makes the USDA loan unique is the fact that it is primarily designed for people who want to own property in rural and suburban areas. Since these locations make up a large portion of the nation, it makes sense that USDA mortgages are widely applicable. As a matter of fact, 97% of the U.S. (geographically) is eligible for the loan, and, it is available for both repeat and first-time home buyers. USDA loans are genuinely meant to improve the well-being of people in rural and suburban areas. They have been designed to suit prospective homebuyers who don’t have a decent and safe house but are unable to secure loans from traditional sources. Get your home without owing any money at closing. It’s possible with a USDA loan. You won’t need to make a down payment, you get 100% financing, and you can enjoy very low-interest rates. Of course, if you choose to make a down payment, there are multiple benefits as well. The repayment schedule for USDA home loans are straightforward. Mortgages are set for 30 year terms at a fix rate for the entire length and there are no prepayment penalties. While qualifications for USDA loans, particularly income limits, vary by geographical location and size of the household, certain requirements hold across the board. The residence in question must be located in a rural or suburban area. The property for which you are seeking the loan should be your primary residence only. That means the funding cannot be used for a second home or investment property. You should have an acceptable credit history and credit score. Many lenders will want to see a FICO score of 620 or above, but some lenders like HomeRate Mortgage are able to be more flexible. If you have lower credit, no credit, or even a history of bankruptcy, we may still be able to work with you. The monthly mortgage payment, including interest, insurance, and taxes must not be over 29% of your gross monthly income. Other expenses, like car insurance, credit cards, student loans, cannot account for more than 41% of your monthly income. These are general guidelines, but borrowers with higher credit scores may be able to still be approved with a higher debt to income ratio. Many people assume that since the USDA loan program is more geared towards low and medium income borrowers, it automatically has a limit on the maximum amount. That is incorrect. Home loans in higher cost areas like Hawaii or California can be approved for $500,000 while more rural locations will have a lower limit. As reference, the average mortgage hovers around $215,840 throughout most of the country. Get the best loan for your situation by talking to a trusted lender. Waking up in your own home may be closer than you think. Need help with your USDA loan? Apply Now!